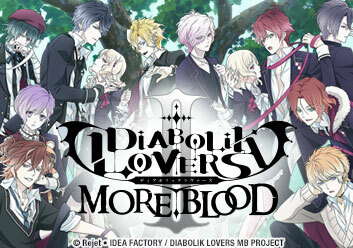 Yui wakes up in a mysterious mansion and is greeted by four vampires who introduce themselves as the Mukami brothers. Yui is left alone with Yuma for the day, allowing her a glimpse into his painful memories. Kou brings Yui a bouquet of roses as a gesture of friendship. Further past tragedies reveal themselves as the two spend the day together. The Mukami household decide to allow Yui to attend school with them, but tensions rise as the Sakamaki brothers attempt to take her back. Back in the clutches of the Sakamaki brothers, Yui seeks to understand more about the Mukami's plan for her blood. The Sakamakis all have their turn with Yui's blood, but Azusa soon arrives on the scene to retrieve her. Yui, now back at the Mukami household, begins to finally begins to uncover the mystery behind "Adam" and "Eve." When the same wolves that attacked the Mukami brothers launch another attack on the Sakamaki brothers, Ayato and Ruki come to a reluctant agreement to protect Yui. Watch all the shows we used to host and more, on HIDIVE!